That said…I tried to camouflage any really bad mix points…I am really proud of some blends…Like 1&2, 2&3, 6&7, 8&9, 14&15, and some more…As said in class…I have a really good ear for beatmixing on turntables..and a talent for playlist selection… so please…enough comments on my beatmixing skills…. Enjoy it or click off. I do this “every week”…I give you a new theme every week…I put a lot of time in choosing a good playlist to go along with my concept…I make my own coverart every week and I’m no artist! I’m really tired of the “Oh you didn’t do this right” and “you didn’t scratch..blah blah blah” comments. I say all that to say…this is my hobby…and I enjoy it…I really do. Eventually I will purchase more equipment..I went to the Scratch Academy and got that Certificate…so please believe…I KNOW how to scratch!..Every week my mixes get better and every week I birth more music, which gets me back and forth to work and gives some folks pleasure. 18. My Love – Justin Timberlake Ft. T.I. 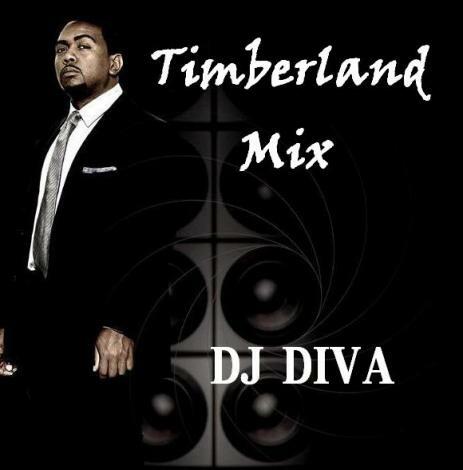 Girl… I LOVES me some Timbaland. Thanks for this one! Keep doing your thing, girl. Your skills are on point. Let the haters hate. They don’t know how to do anything else!